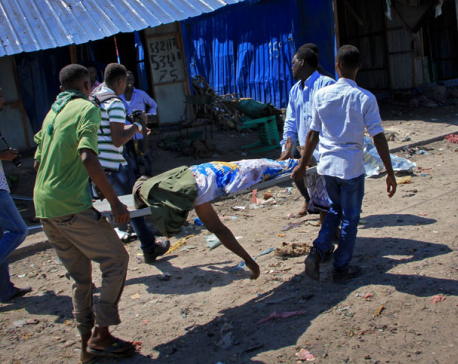 MOGADISHU, Somalia, April 5: A massive car bomb blast at a restaurant in Somalia's capital killed at least seven people, police said Wednesday. Several others were injured in the blast near the ministries of internal security and youth and sports in Mogadishu, Col. Ahmed Hashi said. There was no immediate claim of responsibility for the blast. 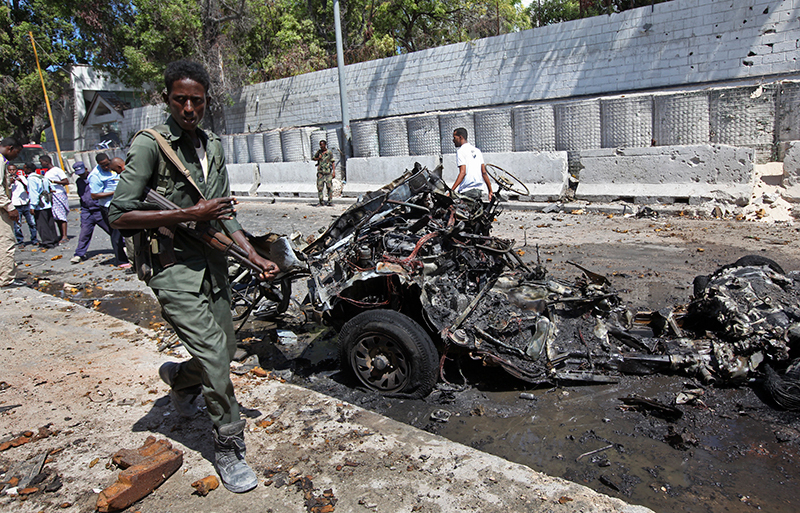 However, the al-Qaida-linked Islamic extremist group al-Shabab group often carries out such attacks. The extremists have been pushed out of the capital and other major urban areas in Somalia by national and African Union multinational forces, but they continue to carry out deadly bombings and attacks in Mogadishu and elsewhere. 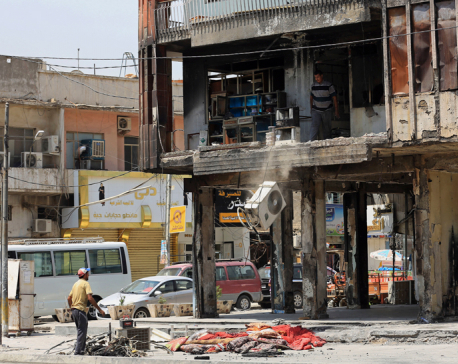 Targets have included hotels, military checkpoints and the presidential palace. Al-Shabab has denounced new Somali-American President Mohamed Abdullahi Mohamed as an "apostate" and warned Somalis against supporting him. Al-Shabab was kicked out of Mogadishu under Mohamed's brief term as prime minister in 2010-2011. Mohamed, who was elected in February, has vowed to make security a priority in the long-chaotic nation where the fragile central government is trying to extend its control beyond selected areas including the capital.